Phoenix Boatworks has created a stunning work of art for a final resting place. Each piece is made to fit typical casket dimensions and the use of wooden fasteners throughout allows it to be buried or cremated safely. The real beauty is in the varied functionality of the casket, which can be divided up into sections. The main body can be installed with shelves to make for a gorgeous bookshelf and to challenge the idea that caskets only need to serve one purpose for one day. The shelves can be removed when the casket is needed and a smaller memorial bookshelf detached for display after the funeral service. The other end of the canoe also serves as a small urn, for cremations, which fits nicely into the memorial bookshelf. 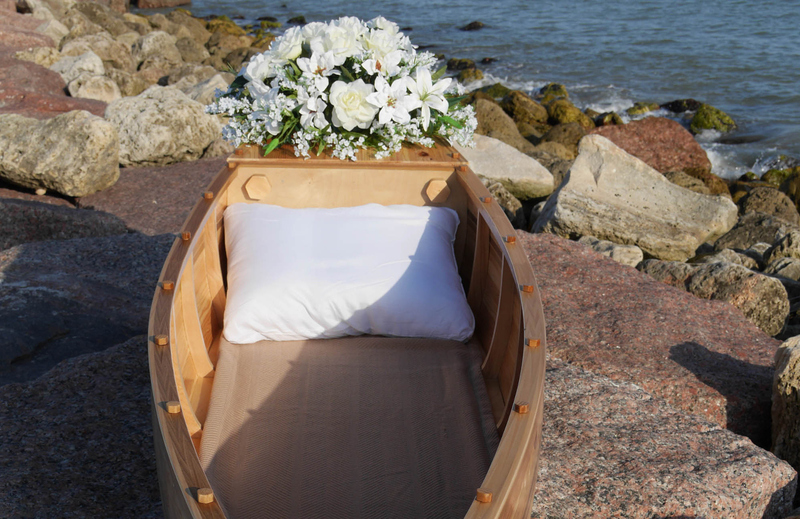 One’s final voyage should be a thing of beauty and the canoe casket may just be the perfect vessel. Phoenix Boatworks has created a stunning work of art for a final resting place. Each piece is made to fit typical casket dimensions and the use of wooden fasteners throughout mean it can be buried or cremated safely. The real beauty is in the varied functionality of the casket, which can be divided up into sections. The main body can be installed with shelves to make for a gorgeous bookshelf and to challenge the idea that caskets only need to serve one purpose for one day. The shelves can be removed when the casket is needed and a smaller memorial bookshelf detached for display after the funeral service. 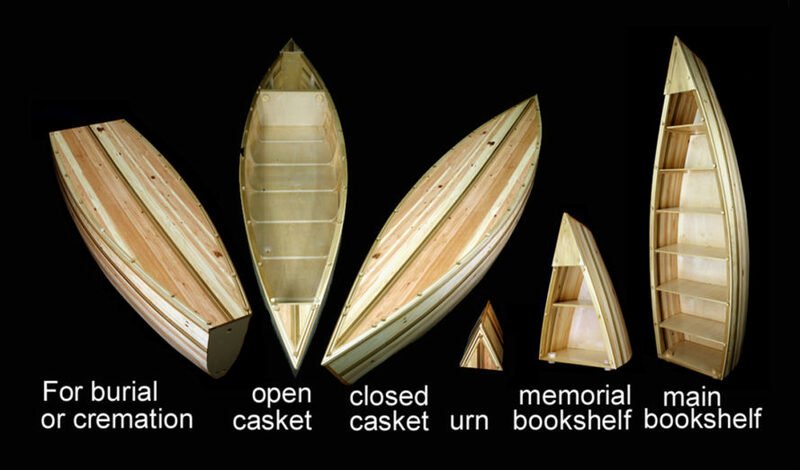 The other end of the canoe also serves as a small urn, for cremations, which fits nicely into the memorial bookshelf. One’s final voyage should be a thing of beauty and the canoe casket may just be the perfect vessel.